Reese Wynans is everywhere. Scan the history books and he’s there on every page: a vital strand of rock ‘n’ roll DNA, present at a thousand cultural flashpoints. Over the last five decades, you might have found him cutting his teeth with the early nucleus of the Allman Brothers Band. Taking the stage with Boz Scaggs. Bringing on the rise of Outlaw Country in Austin with Jerry Jeff Walker. Saving the ’80s blues scene with Stevie Ray Vaughan’s Double Trouble. Bringing the blues to the people with Joe Bonamassa. Adding his thumbprint on piano and B3 to the work of Larry Carlton, Delbert McClinton, Los Lonely Boys, Joe Ely, Doug Sahm, Brooks & Dunn, Trisha Yearwood, Martina McBride, Hank Williams Jr., Buddy Guy – and hundreds more. Not to mention roughly 500 live shows with Willie Nelson, his unforgettable 1973 performance with Captain Beyond for the Sufficiently Breathless record, and three albums with Carole King. Wynans, born November 28, 1947, grew up in Sarasota, Florida with six siblings. As a child he took piano lessons and found he truly enjoyed it. He went on to graduate from Sarasota High School before attending Florida State University, where he formed his first rock band The Prowlers. Soon after, in the late-60s, he found himself playing alongside future blues-rock royalty in Florida up-and-comers, the Second Coming. The band included two future founding members of The Allman Brothers – Dickey Bettes and Berry Oakley. He continued to perform with a variety of bands on the east and west coasts throughout the early 70s, including with Boz Scaggs who helped establish Wynans’ reputation on the West Coast. In 1990, Vaughan’s tragic death robbed the blues world of an all-time great and Wynans of a cherished friend. But the keys man bravely brushed himself down and walked on, moving to Nashville in 1992, where he soon become one of the city’s most in-demand players with credits for headline acts including Lee Roy Parnell, Brooks & Dunn and Hank Williams Jr. In 2014 and 2015, as a member of Stevie Ray Vaughan’s band & Double Trouble, Wynans was inducted into the Musician’s Hall of Fame, Austin City Limits, and the Rock and Roll Hall of Fame. Also in 2014, he joined blues guitarist Joe Bonamassa’s band and shortly thereafter, a conversation began about Wynans’ long overdue solo venture. Now, with a celebrated career that spans over 50 years, Wynans is releasing his first ever solo album titled Sweet Release. The record is a glorious collision of stellar musicianship, classic material given fresh mojo and a glittering roll-call of star guests – including Keb’ Mo’, Kenny Wayne Shepherd, and Warren Haynes, with Joe Bonamassa on production – that confirms the deep respect Wynans deserves for his talents. For more on Reese Wynans, visit reesewynans.com. (Nashville, TN) January 17, 2019: Rock & Roll Hall of Fame member and world-renowned Nashville-based keyboardist ReeseWynans announces his first-ever solo album Sweet Release, a collection of songs honoring a paramount selection of blues-rock legends. The long anticipated album comes following a career that’s spanned over 50 years and literally hundreds of historical collaborations. Sweet Release also serves as Joe Bonamassa’s inaugural credit as a producer. Bonamassa has long been a fan of Wynans’ work, urging him to create a solo album and championing the project as producer. Today, the album is available for pre-order on reesewynans.com, jbonamassa.com and available on all major music services and will be in stores on March 1st. Scan the history books and he’s there on every page: a vital strand of rock ‘n’ roll DNA, present at a thousand cultural flashpoints. Over the last five decades, you might have found him cutting his teeth with the early nucleus of the Allman Brothers Band or taking the stage with Boz Scaggs. Maybe you remember him bringing on the rise of Outlaw Country in Austin with Jerry Jeff Walker or saving the ’80s blues scene with Rock and Roll Hall Of Fame inductees Stevie Ray Vaughan & Double Trouble or most recently bringing his blues to the people with Joe Bonamassa. Adding his thumbprint on piano and B3,Reese has worked with the likes of Larry Carlton, Delbert McClinton, Los Lonely Boys, Joe Ely, Doug Sahm, Brooks & Dunn, Trisha Yearwood, Martina McBride, Hank Williams Jr., Buddy Guy – and many more. Not to mention, his roughly 500 live shows with Willie Nelson, unforgettable performance with Captain Beyond for theSufficiently Breathless record, and three albums with Carole King. Watch Sweet Release behind-the-scenes footage athttps://www.youtube.com/watch?v=Fktau7wDScc. (Nashville, TN) February 19, 2019: Rock & Roll Hall of Fame member and world-renowned Nashville-based keyboardist Reese Wynans recently announced his first-ever solo albumSweet Release, a collection of songs honoring a paramount selection of blues-rock legends. The long anticipated album comes following a career that’s spanned over 50 years and literally hundreds of historical collaborations. Along with the announcement came the first single “Crossfire“, a tribute to the legacy of Stevie Ray Vaughan and Wynans’ work with Double Trouble, featuring the iconic Sam Moore of Sam & Dave on vocals. Today, Wynans shares the video for “Crossfire” with behind-the-scenes footage from the studio recordings. “Crossfire” is available now as a free song download on Reese and Joe’s websites (reesewynans.com and jbonamassa.comrespectively). Wynans expanded on his time in the studio and the Sweet Release project in an exclusive interview with Billboard for the premiere of the “Crossfire” video today. Scan the history books and Wynans is there on every page: a vital strand of rock ‘n’ roll DNA, present at a thousand cultural flashpoints. Over the last five decades, you might have found him cutting his teeth with the early nucleus of the Allman Brothers Band or taking the stage with Boz Scaggs. Maybe you remember him bringing on the rise of Outlaw Country in Austin with Jerry Jeff Walker or saving the ’80s blues scene with Rock and Roll Hall Of Fame inductees Stevie Ray Vaughan & Double Trouble or most recently bringing his blues to the people with Joe Bonamassa. Adding his thumbprint on piano and B3, Reese has worked with the likes of Larry Carlton, Delbert McClinton, Los Lonely Boys, Joe Ely, Doug Sahm, Brooks & Dunn, Trisha Yearwood, Martina McBride, Hank Williams Jr., Buddy Guy – and many more. Not to mention, his roughly 500 live shows with Willie Nelson, unforgettable performance with Captain Beyond for the Sufficiently Breathless record, and three albums with Carole King. Sweet Release feels like a musician coming home. Wynans was already a familiar face at Ocean Way: the Nashville studio where he’d previously added fairy-dust to endless tracks for other artists. And when sessions began for his own solo album, it was a joy to reconnect with the Double Trouble rhythm section of Tommy Shannon (bass) and Chris Layton (drums) – plus modern guitar great Kenny Wayne Shepherd and of course the famed guitar skills of Joe Bonamassa. Watch Sweet Release behind-the-scenes footage at https://www.youtube.com/watch?v=Fktau7wDScc. 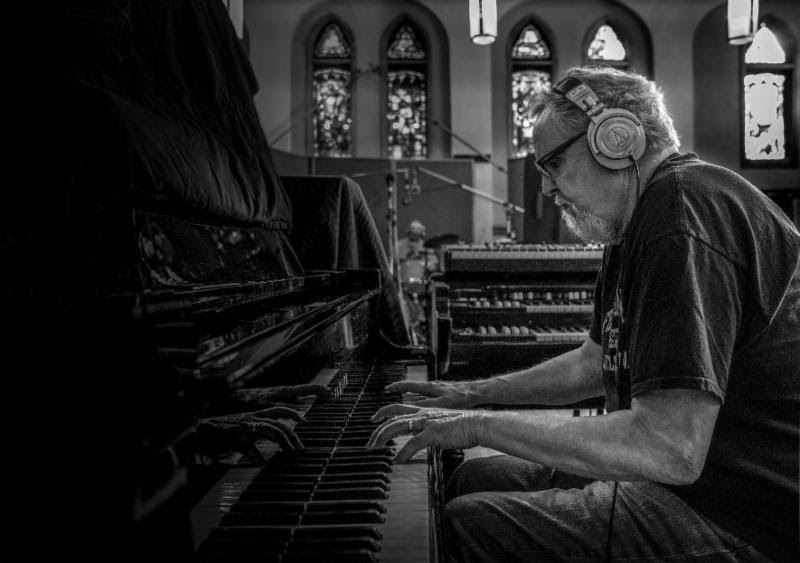 (Nashville, TN) March 1, 2019: Rock & Roll Hall of Fame member and world-renowned Nashville-based keyboardist Reese Wynans releases his first-ever solo album Sweet Release today; a collection of songs honoring a paramount selection of blues-rock legends. The much anticipated album comes following a career that’s spanned over 50 years and literally hundreds of historical collaborations. Sweet Release also serves as Joe Bonamassa’s inaugural credit as a producer. Bonamassa has long been a fan of Wynans’ work, urging him to create a solo album and championing the project as producer. Today, the album is available to stream and/or purchase viareesewynans.com, jbonamassa.com and all major music services and in stores. Scan the history books and he’s there on every page: a vital strand of rock ‘n’ roll DNA, present at a thousand cultural flashpoints. Over the last five decades, you might have found him cutting his teeth with the early nucleus of the Allman Brothers Band or taking the stage with Boz Scaggs. Maybe you remember him bringing on the rise of Outlaw Country in Austin with Jerry Jeff Walker or saving the ’80s blues scene with Rock and Roll Hall Of Fame inductees Stevie Ray Vaughan & Double Trouble or most recently bringing his blues to the people with Joe Bonamassa. Adding his thumbprint on piano and B3, Reese has worked with the likes of Larry Carlton, Delbert McClinton, Los Lonely Boys,Joe Ely, Doug Sahm, Brooks & Dunn, Trisha Yearwood, Martina McBride, Hank Williams Jr., Buddy Guy – and many more. Not to mention, his roughly 500 live shows with Willie Nelson, unforgettable performance with Captain Beyond for the Sufficiently Breathless record, and three albums with Carole King.